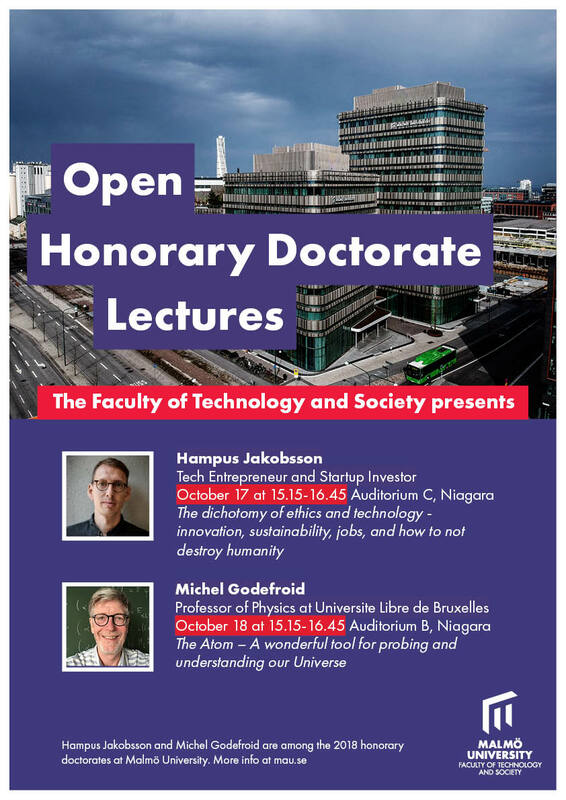 This year’s two honorary doctors at the Faculty are tech-investor and entrepreneur Hampus Jakobsson and Professor Michel Godefroid from Universite Libre de Bruxelles. Both will hold their honorary doctorate lectures during the week of the Conferment and Inauguration Ceremony. More information below.